Home / Dental health / What Causes Bad Breath? Find Out! 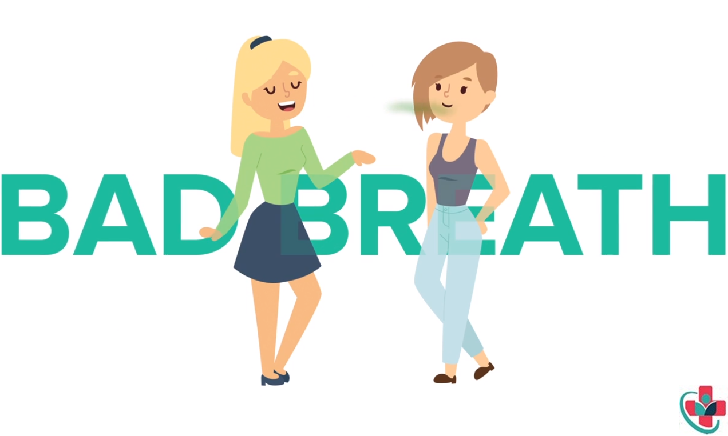 What Causes Bad Breath? Find Out! "About 75 percent of bad breath or “halitosis” is caused by the mouth itself. Other causes include gastric problems, sinus infections or severe gum disease,:" says Mark Wolff, DDS, Ph.D., director of operative dentistry at the State University of New York at Stony Brook. One of the key successes in treating bad breath is determining the cause. Once your dental professional determine what the cause is then treatment for it can then begin. Foods such as onions and garlic, beverages like coffee and alcohol, and smoking. If you believe your diet is causing bad breath, then consult with a dietitian or nutritionist who can work with you to modify your diet. Where plaque and food debris is left on the teeth. If you have poor oral hygiene and are suffering from gingivitis (inflammation of the gum tissue in your mouth) or have periodontal disease (bone loss around the teeth sometimes referred to as “pyorrhea”), consult your dentist and periodontist and work with your dental hygienist to improve gingivitis and thorough oral hygiene instruction at home. Plaque and food debris can form on dentures, which need to be cleaned daily. Cryptic areas (crevices) in the tonsils can allow food debris to become lodged in the tonsil area. The tonsils and respiratory infections will need to be followed by your physician or a specialist such as an ear, nose and throat physician or pulmonologist. Throat, sinus and lung infections. Can be caused by salivary gland problems, medication, mouth breathing, radiation therapy, and chemotherapy. A vast majority of people in the United States are suffering from dry mouth due to medications they may be taking, salivary gland dysfunction and those who may be going through radiation and chemotherapy treatment for cancer therapy. Please consult your oral maxillofacial surgeon, your physician or oncologist for their professional recommendations for prescription or over-the-counter products that can alleviate dry mouth symptoms. Those patients who are diabetics have liver or kidney conditions, and gastrointestinal disorders should see their physician, urologist or gastroenterologist for their insights on how bad breath can be reduced regarding these systemic diseases. Contact your dentist office for a recommendation of which dental or medical professional you should see for your bad breath condition.